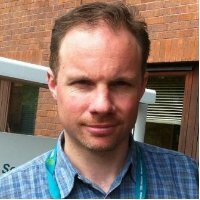 Dr Chris Creevey is currently a Reader in Rumen Systems Biology at the Institute of Biological, Environmental and Rural Sciences (IBERS) in Aberystywth University. 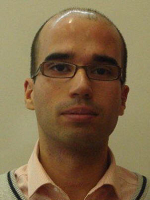 His group develop novel computational approaches to understand the complex interactions of natural microbial communities, using metagenomic and metatranscriptomic and metaproteomic data analysis. He received his Ph.D. in 2002 from the National University of Ireland for his work in the area of phylogenetics and comparative genomics. 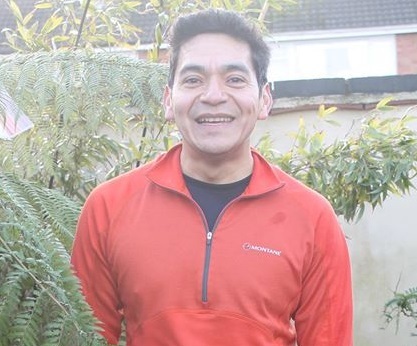 Following this he worked as a postdoctoral researcher in NUI Maynooth developing methods of resconstructing supertrees and detecting horizontal gene transfer (HGT) in genomic data. In 2005 he took up a position in the European Molecular Biology Laboratory (EMBL) in Heidelberg, Germany. In 2009 he was awarded a Science Foundation Ireland Stokes lecturership in Teagasc Ireland. He took up his current position in 2013. Chris can be found on twitter @Hairy_Llama and more information on the research carried out in his group can be found at http://www.creeveylab.org. 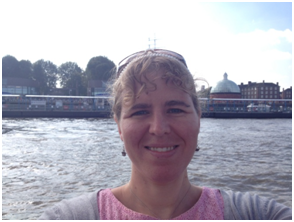 Frances Cheesman is a third year PhD student based at Rothamsted Research in the molecular microbial ecology group. Her project is looking into the role of a highly abundant and active group of soil bacteria; Bradyrhizobium isolated from soils with differing land management regimes. Prior to beginning her PhD, she completed an MSc in Ecology and Evolution from Imperial College London (based at Silwood Park) in 2012 and a BSc (Hons) in Zoology from Anglia Ruskin University in 2010. She has a strong interest in microbiology and the challenges presented in the area of food security and climate change and her developing interest in belowground communities and their influences on agriculture and nutrient cycling led to her PhD project. 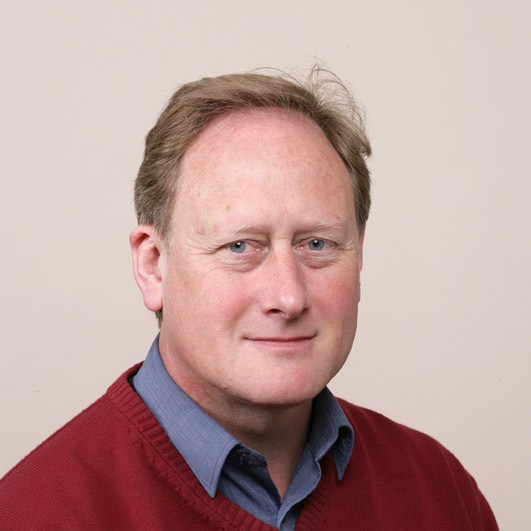 Ian Clark, a senior research scientist in AgroEcology at Rothamsted, has >40 publications. He is an experienced molecular microbiologist, applying and developing bioinformatics packages. He is currently using metagenomics and transcriptomics to examine the diversity, abundance and activity of soil microorganisms involved in biogeochemical nutrient cycling and other ecosystem functions. He has detailed knowledge of the long-term field experiments at Rothamsted and extensive experience of field sampling as well as developing nucleic acid extraction, storage and analyses methods. 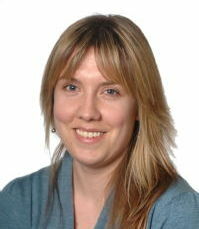 Nicola is a Research Fellow at the Nuffield Department of Medicine with the Crook/Peto research group. She is currently doing a D.Phil on the use of NGS to measure the effect of antibiotics on resistance in the faecal microbiome. 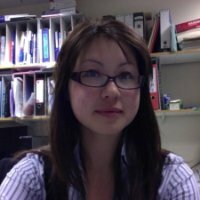 She is supported by an MRC UK Clinical Research Training Fellowship, and is a trainee in Acute/General Medicine. I am a visiting worker at Rothamsted Research trying to establish how different wheat genotypes influence the composition of the root microbiome and whether it is linked to root exudation. 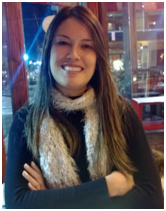 In Brazil, I am a postdoctoral researcher at Embrapa Environment and I am interested in the microbiome associated to different wheat cultivars when infected by Magnaporthe grisea, the causal agent of wheat blast. Both projects involve the use of metagenomics. Dr. James Kinross, is a clinical lecturer in surgery at Imperial College London with a specialist clinical interest in colon cancer. He obtained a BSc (Hons) in Clinical Pharmacology and Toxicology and Pharmacology from St. Mary’s Hospital Medical School in 1998 before going on to gain his MBBS in 2001. His basic surgical training was at St. Mary’s Hospital. He obtained his PhD from Imperial College London in 2011 for the analysis of systems metabolism in intestinal ischaemia/reperfusion injury. 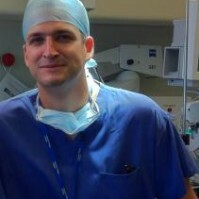 He obtained his FRCS in 2012, and is currently the Ethicon colorectal laparoscopic fellow at Colchester hospital. He has a specialist clinical interest in minimally invasive surgery for rectal cancer. Dr. Kinross has an academic interest in translational computational and systems biology. He is currently leading a clinical team performing a clinical trial at the Royal Marsden Hospital and at Imperial College London that is analysing the diagnostic and prognostic importance of the luminal microbiome in colon cancer. He also performs clinical trials assessing the impact of intra-operative mass spectrometry on real time cancer margin detection. Brindha Lekshmisaran is a Bioinformatician at Janssen Pharmaceuticals, Johnson and Johnson in London. She has an active interest in exploring and validating latest microbiomics and metagenomics tools and pipelines for bioinformatics. She had previous worked in Unilever and LSHTM looking at transcriptomics and WGS data. Brindha has an M.Phil and an MSc in Molecular biology and a degree in Pharmacy, in addition to a diploma in computer programming. She is very interested in being part of an interactive group of bioinformaticans and scientists involved in microbiomics and metagenomics. Trained as a geneticist Jim did his PhD studying mechanically regulated genes in bone metabolisms prior to working for seven years as a Senior Research Fellow at University College London investigating the diagnosis and biology of Tuberculosis and other infectious diseases in the developing world. For the past 5 years he has led the nucleic acid research in LGC’s Molecular and Cell Biology Team where he investigates the measurement challenges associated with established and novel technologies for molecular analysis and diagnostics. Alex Mitchell is curation co-ordinator for the EBI Metagenomics resource and the InterPro database at EMBL-EBI in Cambridge, UK. He oversees running of the EBI metagenomics analysis pipeline, which has provided taxonomic and functional analysis for over 45 billion nucleotide sequences in the last 2 years. 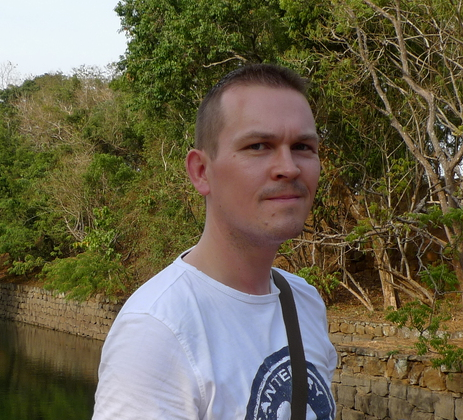 He holds a DPhil in pharmacology from the University of Oxford, and has over 10 years' experience in protein sequence analysis and classification. 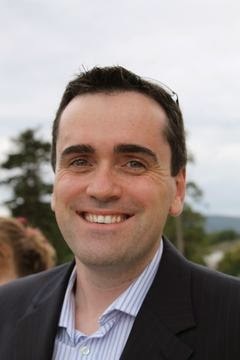 Dr Robert J. Nash is CEO of PhytoQuest Limited, a natural products discovery company based in Aberystwyth. The company focuses on small molecules called iminosugars that originally were discovered as glycosidase inhibitors but increasingly are being found to have much wider effects in animals via sugar receptors. Plants have been the main source of such compounds to date but bacteria and fungi also produce them. The company is working with Aberystwyth University on new bioactive compounds from bacteria. Robert has published over 200 papers and is inventor on several patents. 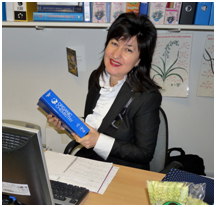 Yana Penkova is a business manager at PhytoQuest Limited. Her background is Chemistry and Agronomy. PhytoQuest is a natural products discovery company based in Aberystwyth. Yana is helping to develop new cosmetic and food ingredients from the discoveries of the company but the main focus is pharmaceutical discovery. The company has produced diverse compound libraries from temperate plants and is always interested in new sources of novel bioactive molecules. During the previous five years Chris has explored the use of sequencing technology and metabonomics to better understand the equine intestinal microbiome on health and disease. He has conducted population-based studies to characterise normal variation within the equine gut microbiome and metabonome. This information serves as a platform for further investigation of intestinal disease and its prevention through dietary intervention. My background is in microbiology with research interests in microbial ecology and more specifically bacterial communities of environments including soil and the human microbiome. During my PhD work at South Dakota State University, I did research on soil bacterial community activity using a H2O isotope as a universal label for DNA and RNA stable isotope probing. I also looked at improving cultivation techniques for soil bacteria and the effect of growth promotants on the porcine gut. My postdoctoral work has focused on antibiotic resistance and the human microbiome. One project tackles using polyphasic approaches to examine the effects of antibiotic treatment on the persistence of antibiotic resistance genes in the human gut. Another interest is improving cultivation methods for gut bacteria and developing targeted methods to recover previously uncultured bacteria. Jeanette is the Senior Genomics Technician at the Genomics Facility at the School of Life Sciences, University of Warwick. Martin has had a long established career as a veterinary microbiologist with interests across many fields but especially focusing upon disease intervention strategies. He has made several vaccines for poultry notably against Salmonella and avian pathogenic E. coli which have been commercialised successfully. More recent interests are on the modulation of the diet to enhance health benefits and the development of alternatives to antibiotic therapies. Here the focus is on the modulation of the entire gut microbiota, hence the relevance to this symposium.